Can you recall the battery juggernaut from Ulefone last year? This is the follow up and it comes with more power. 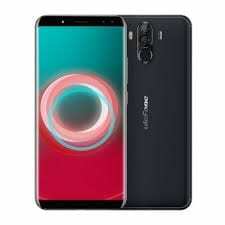 However, the new smartphone can not be regarded as an all round upgrade because some of the features in the Ulefone Power 3 had been downgraded except battery capacity which instead received a slight bump. The Ulefone Power 3S has some pretty interesting features and comes with the trendy looks. 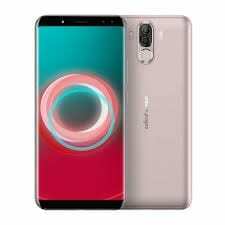 Both the Ulefone Power 3S and it’s predecessor are obviously similar in design. As a result of its large battery size the smartphone is equivalently thick up to 9.8mm thick. As I mentioned earlier, the Ulefone Power 3S is quite stylish, with a nice 18:9 aspect ratio and slim chassis. It also has an aluminium frame, a glass front and a plastic back all looking quite sturdy in appearance. Moving on to the viewing screen, there’s is nothing short of good which entails a large screen, decent resolution, in vogue aspect ratio and nicely trimmed down bezels. Towering up to 6.0-inch in length diagonally, the smartphone boasts of a 2160 X 1080 pixels and a pixel density of 401 ppi. Coming to the highlight of the smartphone and undeniably the origin of the name – Power-series. The Ulefone Power 3S is one of those smartphones that can last for 2 days conveniently on a full charge and even up to 3 days if usage is kept minimal. This is made possible thanks to a giant 6, 350mAh battery capacity which also supports quick charge through its USB Type-C port. Some of the noticeable changes between the smartphone and its predecessor.besides the bump in power is the cut down on the camera. The front camera is pretty much the same dual 13MP + 5MP camera while the rear camera has a lesser 16MP + 5MP camera combination. Although, you still have an interesting quad camera in place for taking pictures.